In the fifth grade, on my very first day at a new school, I was given a worksheet. The instructions were to fill it out with facts all about myself and — I guess — whoever I thought I was at 12 years old. One of the questions they asked was, "What is your best asset?" I answered honestly: My eyebrows. In hindsight, I wish I'd written down something else, like maybe my impressive ability to avoid offsides during soccer practice, or my fierce commitment to finishing the entire Harry Potter series before the sixth grade. But eyebrows it is — and eyebrows it was... until it wasn't. By the time I got to college, my eyebrows were — for lack of a better word — butchered. I'd over-tweezed, shaved, and plucked every hair I could until my brows were about as deconstructed as Picasso's Les Demoiselles d'Avignon. Then, a little over a year ago, I took a major risk with my look and bleached my eyebrows. After several months of zero grooming (the hairs were too white to even see), my "best asset" finally grew back better than before. These were the brows I'd been missing, but they came along with a whole new routine. 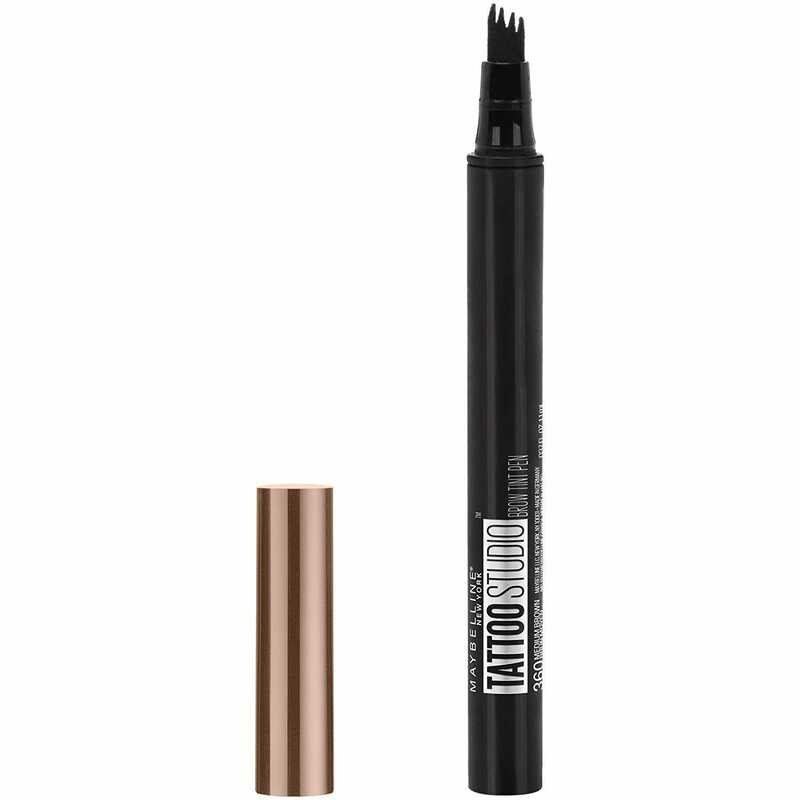 After a full year of experimenting with every brow product imaginable — pomades, pencils, tinted and non-tinted gels, markers, crayons — nothing seemed to work as well as Maybelline's Tattoo Studio Brow Tint Pen. I'd heard about this unique pen before. A version of it was already available — and wildly popular — in Asia, and this year, Maybelline launched it stateside for the first time ever. Unlike the traditional tapered-tip marker, this product uses four soft prongs to draw on hair-like strokes of pigment. The result is a micro-bladed effect without all the pain. But this pen won't give you Instagram brows; the point is to create natural, full arches that don't have to be traced into place. Compared to other formulas on the market, this one is subtle — but that's what makes it so foolproof. The Brow Tint Pen comes in four shades — blonde, soft brown, medium brown, and deep brown — and won't cost you more than $10. (Check it out in action in the video above.) In just a few strokes of the pen, you'll have your best assets yet. The future of beauty is here — and you’re invited. Check out the rest of our 2018 Refinery29 Beauty Innovator Award winners for a full look at the products, brands, and people that are breaking the rules and redefining beauty standards, one lipstick at a time.